You asked for it. You begged for it. You threatened to burn the Castle to the ground if you didn't get it...and here it is! We are starting off our Sixth Year with a celebration of the relationship between Lav-Lav and Won-Won. Lavender Brown was the very first Gryffindor sorted when the Trio arrived at Hogwarts and was one of Hermione's roommates for SIX years (we are truly impressed Hermione didn't crack long before Year 6). Despite the giggles and squeals, we love our Lavender and wouldn't want her any other way. Your registration includes this awesome 3" TRANSPARENT frosted medal, custom sublimated ribbon, and the always popular personalized digital bib! Three years ago, in honor of our Half-Blood Prince, Alan Rickman, the largest event in our history raised critical funds for a first-of-it's kind pancreatic cancer clinical trial that is literally saving lives today...and we know it's really "on the nose", but Lavender is a shade of PURPLE. 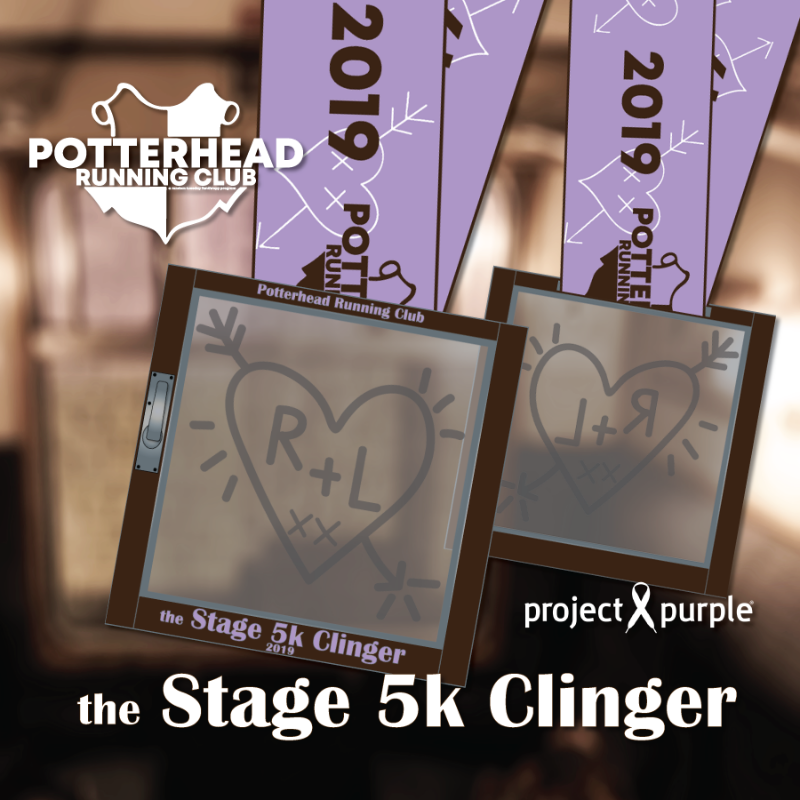 Potterhead Running Club is proud to announce the charity partner for this event is Project Purple! We are beginning our Sixth Year honoring our Half-Blood Prince by once again partnering with Project Purple to join the fight to find a cure for pancreatic cancer and improve the lives of patients through support, hope, and compassion. Visit http://projectpurple.org/ to learn more! 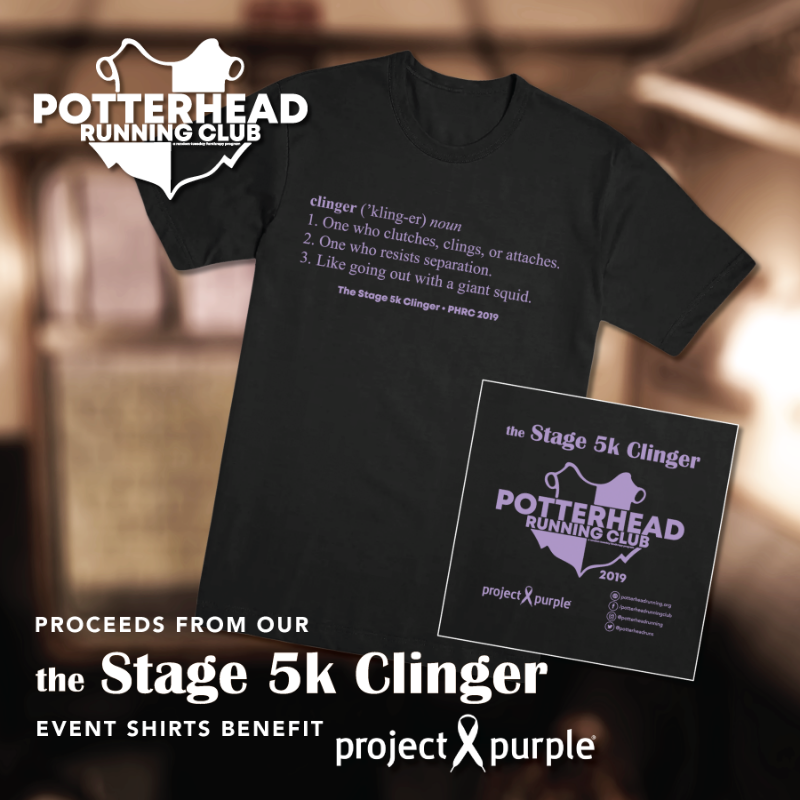 The suggested run date for the Stage 5k Clinger is Wednesday, February 6th on Arthur Weasley's birthday. Remember, this is only a fun suggestion. You are welcome to complete your 5 kilometers whenever you want! For more information on how our virtual running events work, please visit our FAQ**.